Honestly, although my blog title is opera-ish, I know nothing about opera or orchestra. I can't even read a music note. This is not a joke but this is funny. You can google the lyrics by your self. Don't want to pollute my blog with too much obscene words. Lol... Even though we can called Mozart as genius in music but still he is such normal human being. Sometime got pissed and need to mencarut here and there. Well, just forgive him. He created a lot of brilliant pieces however. 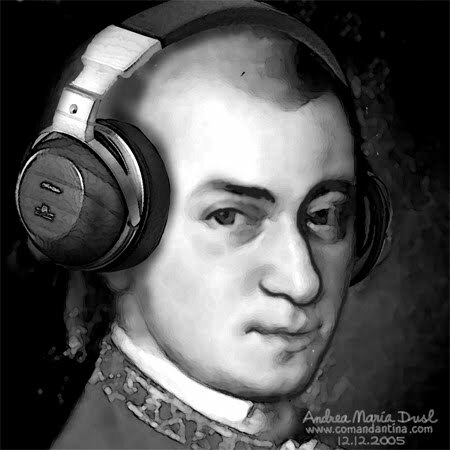 Mozart is an ordinary person after all. Btw, I dedicated this song to UTP ITMS (IT department) as an appreciation for giving us such a super slow gay internet connection and blocked all the sites except Facebook because the staff also want to mengular via Facebook. Post Raya? Memang Tak Ada..